Your boss just signed you up for a conference hosted in New York City focused on the latest and greatest trends in your field of work. At first, you’re excited—you get a few days out of the office to connect with peers, learn valuable information and to connect with industry leaders. You book your flight, find a hotel and look at sessions you’ll want to attend. Then you consider where this conference is taking place, and your excitement level goes from an 11 to a 3. You know it’s in some conference room or hall of the convention center attached to your hotel. You’ll be cooped up in the room each day, with very few opportunities to get out and see the city. Conferences and industry events have historically been held at these types of locations. Spaces specifically built to hold hundreds, even thousands of attendees, booth exhibitors and rooms for sessions. Why do meeting planners cram you into a stuffy convention center for 9 hours a day in a cool city? Why even go to a cool city? You could be in NYC or the middle of Nebraska and you’d likely have the same experience. I’m here to encourage you to think outside of the box and hold your meeting or conference in a space that speaks to your material, your brand and your audience. Woah. Mind. Blown. Forget convention centers and meeting halls. Think rooftop lounges, lofts, museums, art galleries, industrial spaces, ski lodges and more. This is one of the trade show and convention trends we’re already starting to see. After all, attendees and their organizations are spending resources to attend, so why not make it worth their while? A recent Walker study shows that 86% of buyers are willing to pay more for a better customer experience. The days of hosting an event or handing out swag that’s slapped with your business name or logo on it are quickly going away. Customers are constantly bombarded by brands so they value the ones that invest in providing a unique and memorable experience. So, let’s consider a few examples of the traditional (a.k.a., boring) approach to meetings, venues and events and spin them to be more unique. Back to this conference in New York City. Let’s say the meeting targets Millennials and young creatives. Instead of shoving attendees in a blank room, why not use the surrounding city environment to reinforce what you’re teaching. Give your attendees the best customer experience possible by putting them in a place where the imagery and movement of the busy city will inspire new ideas and positive outlooks for your event. Host your event registration, opening reception or after-party on a rooftop deck overlooking the NYC skyline. Host breakout sessions in spaces looking out on Times Square. 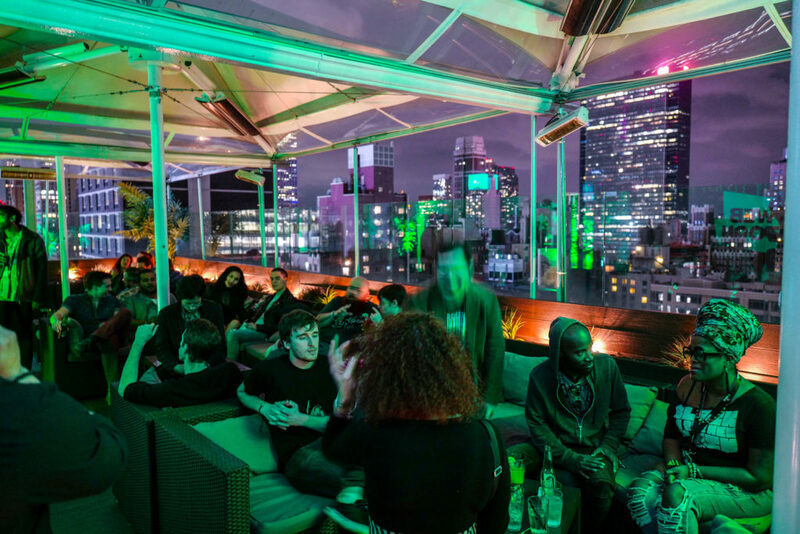 We recently executed a Comic Con afterparty for Webtoon that took place at a rooftop deck in Midtown Manhattan. The party took over an open-air restaurant and offered brand immersion at every turn. Highlights included a graffiti wall, live tattoo artists and Webtoon’s own comic artists. The brand benefited from the ability to give attendees a complete experience with constant visual and interactive elements throughout. Photo: Webtoon rooftop afterparty at New York Comic Con. Think of your brand and what you’re trying to showcase. Imagine your company sells bottled beverages in stores throughout the U.S. and is known for ethical sourcing, commitment to quality and community involvement. If the conference you’re attending is for food and beverage products, then find a way to bring your experience to life, instead of setting up a table on the exhibit floor to hand out samples and coupons. 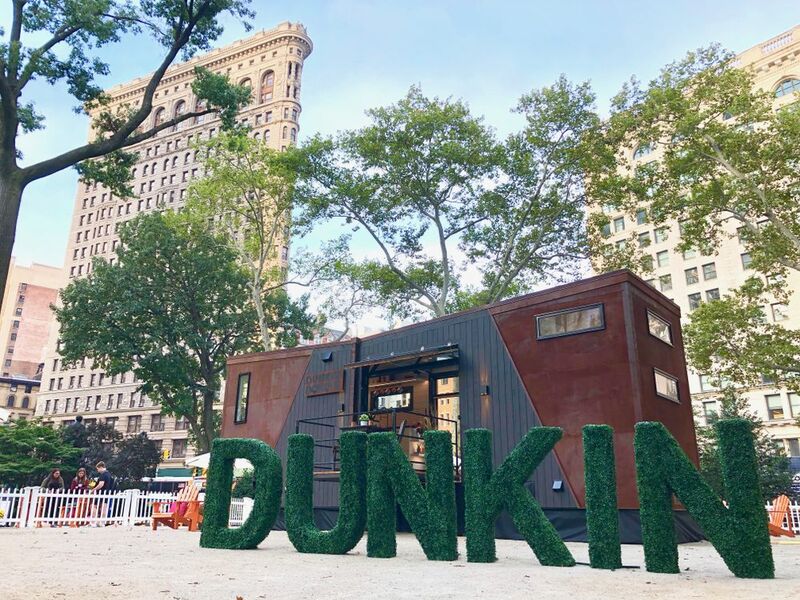 Dunkin’ recently built an entire tiny home that is powered and fueled on coffee grounds. The Home That Runs on Dunkin’ was set up in NYC for people to experience firsthand. The tiny house on wheels allowed users to learn more about the sourcing of ingredients, walk through the steps of production and see the level of community involvement through photographs, videos and stories. Since the experience was mobile, it was well-suited to sit outside of a convention center to give attendees an immersive experience. Photo: The Home That Runs on Dunkin’ activation in NYC. Imagine you already own a large manufacturing or distribution facility and you want to host an event for employees and investors. You have the physical space to unveil your new technology, but you need to find a way to make it more exciting and interactive to your audience. You can repurpose an ordinary space and make it more remarkable by investing in the presentation itself rather than spending budget on a rented space. Multimedia and visual technologies allow you to transform a space to introduce new concepts, product or services. We recently worked with one of the largest construction equipment manufacturing companies to unveil a new line of products to their employees and dealers. We outfitted their 150,000-square foot facility with lighting and projection mapping to tell the story behind the products. The space included a projection screen and tension fabric wall displays of the new machines. Custom built and wrapped product displays and realistic dirt path floor decals enhanced the experience. They gave guests the impression they were entering a construction site, not just a meeting room in the facility. 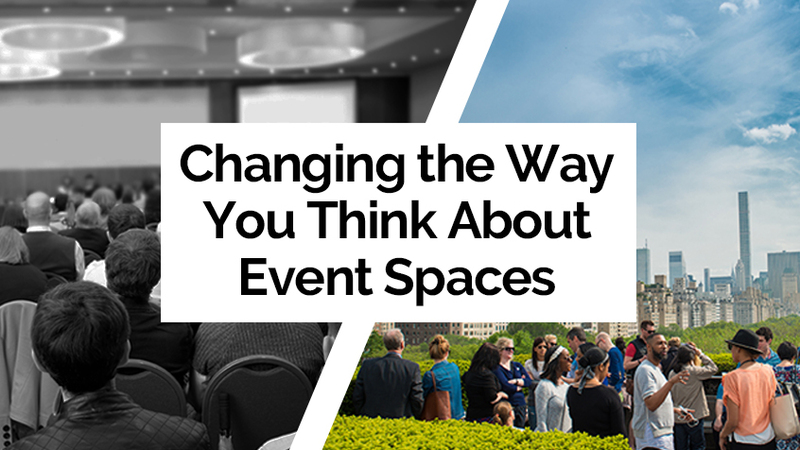 Now you have a few ideas on how to think differently about your next event, meeting or general brand identity. Now, let’s discuss why it’s a smart for your business. According to an EventTrack report, “About 65% of consumers say that live events and product demonstrations helped them fully understand a product better than any commercial or other method could.” So, when you take a more innovative approach to your next experience, you’re investing in your consumers by creating lasting impressions. Those impressions then spark a desire to share the experience with others and strengthens brand loyalty. Consumers want more personalized experiences to feel that brands are trying to connect with them. As marketers and brand managers, it’s our responsibility to break the conference room mold. We must find new ways to engage with attendees and consumers, and always provide the best experience we can. Our team of event pros will take your next meeting or event from bland to blockbuster? Contact us below and let us know how we can help! With a background in marketing, events, social media and graphic design, I came to EMC as a project coordinator to help execute OOH campaigns from start to finish. 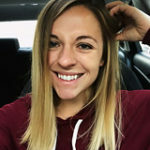 As a recent New England transplant, I enjoy exploring Philadelphia with my fiancé and our Airedale Terrier named Scout, trying new workout classes or indulging on some sweet treats.